The studies keep piling up. The proof is in and well documented. Exercise is very important if you want to be and stay your healthiest. Who doesn’t know this, right? Exercise also reduces your risk for a whole host of serious health problems, including breast cancer. (Remember, lowering risk does not equal prevention). Diagnosed anyway? Exercise can lessen your risk for (again, not prevent) recurrence. Yes, exercise is important no matter who you are, what your age, what your cancer stage or how healthy you are or are not. 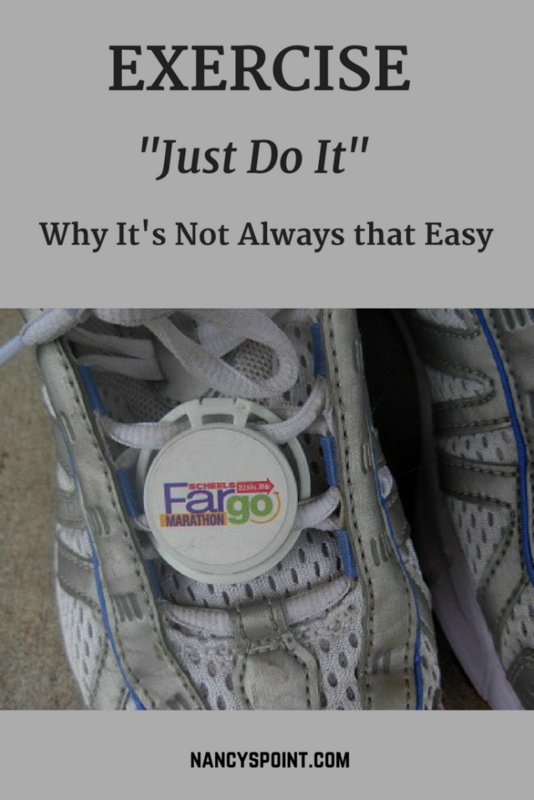 So why not “just do it” like that old Nike ad suggested? I’ve never been the athletic type. I’ve written about my inadequacies in this department a few times before. However, before my cancer diagnosis I was a consistent exerciser, my form of preference being walking – either outside or on my treadmill. Walking was easy. Walking was effective. Walking was fun. Sort of. I could do it with my dogs, or Dear Hubby, or my kids or any combo of the aforementioned. For the past umpteen years, walking has been what I do/did for exercise. In fact, days before my bilateral, Dear Hubby and I participated in a 10K. (Not sure how I pulled that off). A year later, we did it again. I had something to prove to the world, well, actually more to myself – that cancer couldn’t keep me from crossing the finish line. And it didn’t. Not for those two years anyway. But here I am, a couple more years after that, and let me tell you, I would not be able to participate in a 10K today. Well, unless it was a very long and very slow-paced version of one. This is a difficult thing to admit because it’s sort of feels like I’m saying yes, cancer has taken something else from me. It’s worth saying, the reason so many cancer patients (and others as well) aren’t exercising as much as they should be is because it’s not always as easy as, “just do it”. Sometimes significant discomfort or pain holds us back. Sometimes hesitancy (for a whole variety of reasons) to join a health club or gym holds us back. Sometimes embarrassment of doing poorly holds us back. And yes, sometimes fear holds us back. For instance, post cancer treatment side effects, pain issues and new and other various health concerns to contend with, sometimes make it difficult to know how hard to push oneself. This was one reason why last winter I participated in Livestrong at the YMCA exercise program for cancer survivors. I needed and sought some guidance. I got some, and it was a very beneficial experience for me. However, after my class ended, I continued to experience increasingly significant joint, foot and toe pain. Walking my usual two miles a day became out of the question. Heck, I could no longer make it to the stop sign at the end of my own street without pain. My bone health is quite poor compared to what it was before aromatase inhibitors became part of my daily routine, before cancer treatment. AI side effects have also been messing with my joints, among other things. Bottom line is, for whatever reason, walking as a form of exercise is not nearly as fun as it used to be and sometimes this is really frustrating. Making my favorite form of exercise no longer quite as fun as it once was is just one more reason I despise cancer and cancer treatment fallout so much. Cancer robs you of many things, sometimes including your fitness level and/or preferred from of exercise. So no, it’s not always that easy to just “do it”. I guess I needed to voice this particular frustration in this post, and I hope in doing so, it allows someone else out there to voice hers/his. Maybe you have pain. Maybe you have lymphedema (or other) issues. Maybe you find exercising of any kind to be a challenge these days. Maybe you do it anyway. Maybe you don’t. Maybe you are afraid to push yourself. Maybe you feel guilty for not pushing yourself harder. Maybe you’re sick of the cycle of meds and side effects like weight gain (or loss), fatigue or whatever it is that holds you back. Maybe you’re frustrated like me and miss what you used to be able to do. Maybe you need help, but have no where to turn. Maybe you’ve given up. I’m here to say, in this you’re not alone either, and I hope you don’t give up. Exercise still matters. Movement matters, even a little bit at a time. Forget about what you used to be able to do before cancer (yes, I know this is hard) and try to focus on what you can do right now, no matter how much or how little this might be. Then try to build on that. Tiny steps matter, even itty-bitty ones. “Just doing it” might not be as easy anymore, but I intend to keep trying. Has cancer treatment hampered your ability to exercise? Do you exercise regularly and if so, what do you do? Do you have any exercise tips to share? Yes, Nancy, I hear you. Exercise is not fun if one is hampered. Before cancer, I was a jogger and walker. I was in great shape. After diagnosis and during treatment, I jogged once. This resulted in me nearly passing out later that day. Walking was laborious. I eventually could run again, but then after my bilateral and reconstruction, my abdominal wall was compromised. Sad to say, but running was no longer my sport. I turned to swimming and kept walking. I really miss running. But I’m glad I can still exercise. I started walking dogs part time for a service recently for a number of reasons. I’m a writer and its a great break from the computer screen and home, my deep love for animals and the exercise portion of it as risk reducer. (I’m a stage 3 survivor). I’m on tamoxifen though and my stiffness and soreness is very upsetting. I’m out there lately for 3-4 30 minute private walks a day. I wish I could say it was making me feel fantastic but I’m coming home incredibly exhausted where I have zero left in me to give! I’m not sure if my endurance needs to build up more or if I’m simply overdoing it. Probably the latter. Chemo ended 16 months ago, radiation 14. I curse tamoxifen every morning – it’s like I’m 90 (only 48). It would probably be better to walk 2 30 minute walks a day. When I have it down pat in six months I’ll let you know how I’m doing! Lauren, I know what you mean about the endurance thing. Mine is still not where it was pre-cancer. Nor is my stamina, strength and flexibility. In my case Arimidex did quite the number on me in many ways. I’m now on Aromasin and hoping things go better. I know exactly what you mean about cursing the tamoxifen every morning. I do the same with my drug… Good for you for doing the dog walking thing. I think that’s wonderful, though you probably should be careful not to over-do things too. Yes, do let me know how things are going – even if you don’t have it all down pat in six months! Linda, Thank you so much for your inspirational words. It’s hard sometimes to “just do it”. And your last sentence, gosh, that’s so true. Thanks again. So so so true…. all of it. My current favorite, yoga, has become so painful that I can’t even believe it. I’ve been doing yoga regularly for over two years and I can’t do things I could do a year ago. I also love hiking and walking, but the joint pain, and the price that I pay later… ugh. Now it has to be short walks and short easy hikes. Makes me so mad when the doctors say that exercise has been proven to relieve the joint pain. Are you kidding me?! You haven’t been in my shoes later that night when I’m in bed with a heating pad and taking aleve. Thanks for your honest frankness yet again Nancy. Your words “try to focus on what you can do right now, no matter how much or how little this might be. Then try to build on that. Tiny steps matter, even itty-bitty ones” are so true. I feel very fortunate to be able to run and exercise as much now as I did before my diagnosis. But I sure feel it more. The joint pain and muscle stiffness after sitting for 30 minutes or more has me moving slow and rickety until I walk it off. At those times, I feel like an old 48. (I am on Tamoxifen.) I feel for those who are unable to exercise or are limited in what they can do. Yet another thing cancer takes from us. Onward…one step at a time! Lisa, I appreciate your kind words. I marvel at how you have kept running – even doing marathons for crying out loud! Yes, I’m even envious. We do have to focus on what we can do right now and build on that. Just another thing to keep working on I guess. As you said, onward…one step at a time. Thanks for reading and commenting, Lisa. This is such a helpful and reassuring post, Nancy. Somehow you seem to encourage exercise yet respect just how tough it is to do even minimal levels. Yes, I too struggle with the Femara bone and joint pains. Residual peripheral neuropathy means that my numb toes make walking awkward, and for me that was also a precious and preferred form of exercise. Those same numb toes caused a nasty fall last year, which caused further damage to my poor, painful knees as well as seriously denting my confidence as I walk. I am frankly, scared of walking to far and find it difficult to get into any stride unless the surface is smooth or soft. I am fortunate, though, that in this climate I am able to swim year round. Adding a gentle cycle to and from the pool (5.5 km) means that I have over an hour of exercise which I love before my working day. I push myself on those days when I resist waking, because i know it lowers my risk. I enjoy those forms of exercise. I can do both of them, even though too much cycling puts strain on my joints. And these are more than the exercise itself. The cycle is a half hour delight of morning ritual in Yangon and the swim is a tranquil bird and nature-watching experience! Gyms do not really work for me, these outdoor activities do. Sadly for me too, walking and 10ks are a thing of the past. In my case the AIs and longer term chemo afters are the main saboteurs of mobility. I am thankful that I can enjoy these forms of exercise, but I am frustrated at the level of constraint cancer and its treatments bring. Philippa, Reading your comment warms my heart. I know you truly understand. I’m sorry that you do, but I’m also so grateful. Thank you for reading and sharing. I still exercise but it is less “intense” than it used to be. I’m actually excited to be joining a geriatric class – though I am decades younger than the group the class was designed for. I feel better when I move but must be mindful of an arm that will never recover. Mae, I feel better when I move too, but gosh things sure have changed for me on the exercise front. And a geriatric class… do you have more details about that you’d be willing to share? Thanks for sharing your thoughts. Alli, I’m sorry that cancer robbed you of so much. Cancer zaps a lot out of a person that’s for sure. Are you able to do any kind of exercise today, Alli? Thanks for sharing. What an excellent reminder that things won’t be the same after cancer. I wanted to offer a glimpse of long-term hope, though. My husband had non-Hodgkin’s Lymphoma with central nervous system involvement (cancer in his spinal/brain fluids). It’s been 13 years since his stem-cell transplant, and he’s in the best shape he’s ever been in since childhood. But it took a long time to start enjoying activities due to neuropathy in his foot and hand. He rides bikes more now than he used to. Over the past 13 years we’ve made a lot of changes in our diet, as well. Fortunately, he only had to have prophylactic chemo for a year post-transplant. Remember to be kind, don’t try to rewind (your life to what it was pre-cancer). You are survivors and fighters and advocates and more powerful than you ever imagined! Anita, Hello and welcome! I’m so glad your husband is doing so well now. That’s terrific. Life post-cancer diagnosis is certainly about adapting isn’t it? I don’t know what prophylactic chemo is… Good point about not trying to rewind. I’m not trying to go back to things as they were; I know that’s not possible. I’d just like to stop the downward slide since diagnosis/treatment and start making more headway in the other direction – if that makes sense. It all takes time of course. And a bunch of other stuff too. Thanks for reading and commenting. Barb, Thank you for sharing about your experience with yoga and for your recommendation. As usual, it’s vital to have a good instructor. And of course there’s the accessibility factor. I’m glad you consider yoga to be a life-changer (of the positive kind) for you. Thanks again. I was a runner for 20+ years, including marathons when diagnosed. Although menopausal insomnia had interrupted my running, HRT including estradiol helped restore my sleep and running. ER+ breast cancer put that to an end. I’ve been on Arimidez or Femara for 13 months and the insomnia has returned with a vengeance. I don’t tolerate sleep drugs so I barely have the energy to get through a 10 hour work day with 3 hours of drive/commute. Because I can’t sleep through the night, usually waking several times or staying awake for an hour or more, I don’t get enough sleep to run, and often struggle just to get through a work day while chronically sleep deprived. I miss running and the wonderful quality of life I had. I have a number of other SE’s, but this post is about exercise. 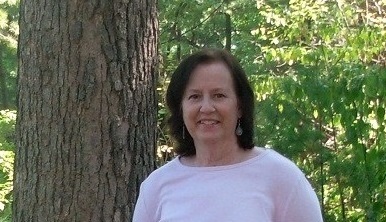 Thanks, Nancy, for this blog; it’s at least comforting to know one is not alone. Thanks for writing this.. as someone who isn’t at all athletic, I suffer pangs of guilt when I read another study about exercise. There are many barriers to exercising – fatigue, pain, lack of motivation, so first thing we must do is address which one is true for us and then see if there is something we can do to overcome that barrier. Sometimes exercising with a friend can really help, even if it is just going for a brisk walk. We shall have to keep on encouraging each other! Marie, I know, sometimes the studies can make a person feel guilty… There are indeed many barriers and you’re right, each person needs to figure out what hers are and then try to overcome. I have done the exercising with a friend and that worked well. Ultimately though, you have to rely on yourself. Thanks for commenting. Lovely to hear from you, Marie. Like the writer above I never saw myself as a yogi, but 9 years after diagnosis,here I am. Find yourself an exercise program affiliated with a cancer support facility/program and you will be surrounded by others like yourself trying to find that new regimen that is gentle yet effective. Competition is no longer a factor in exercise for me with the exception of the Pink Dragonboat Team I’m on . It’s comprised of only BC survivors both many years out and in treatment. We encourage each other to keep trying and find ways to make the sport doable for those experiencing different issues due to pain and fatigue. I encourage you all to check if out and I’ll post the link in another post. Marcia, I agree that each of us needs to find the form of exercise that works for us. I forgot about competition a long time ago! One important factor is that many survivors do not have easy access to programs. Some people just do not have a lot of options and need to take on the exercise challenge on their own. 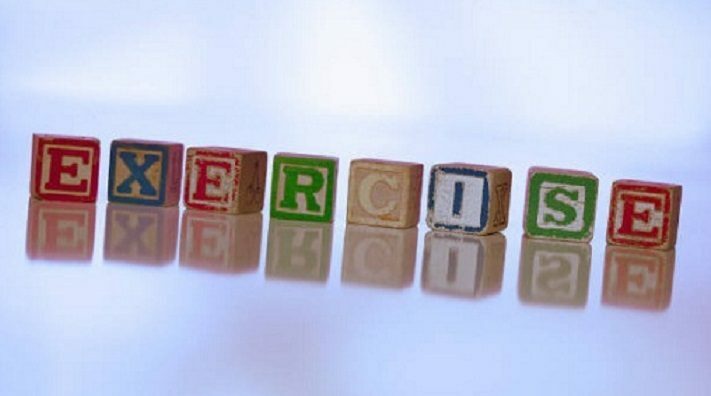 It’s wonderful that you have such a supportive and beneficial exercise support team. Good for you! And thanks so much for sharing the links. This is the link to the International Dragonboat websit. You’ll be amazed! It’s fun and healthy and only for us. Catherine, Yes, encouragement can go a long way here too. It’s so important to not give up and just build on things from where you’re at. Thanks for commenting. Ive not always had access to structured exercize. When I didnt I began with simple exercize like walking and or videos. I found this company,started by survivors and doctors to produce a great kick starter exercize plan. I hope this will be helpful to all of your readers! Soccer Mom, Thanks for sharing the link! And yes, access isn’t always easy, so a video can sometimes be a great solution.